It is important to realize there are really two questions here, not one. Question one is “How can I be a witness to my friends?” Good question, and it recognizes that Jesus Christ gave a job to his followers when he ascended into heaven. He said to them, “You will receive power when the Holy Spirit has come upon you, and you will be my witnesses … to the end of the earth.” If you have believed in and confessed the Lord Jesus, you have accepted the same ongoing task they did. That’s fantastic. Question two boils down to “How can I maintain my present relationships as they are while witnessing to something that transforms lives, upends worldviews and tells people hard truths about themselves they may not want to hear? That may be possible. And it may not. This being the case, the question before us is a little bit like asking “How can I have my cake and eat it too?” It may not be possible, or there may be tradeoffs involved. There is a whole spectrum of possible responses to witnessing. It may be that when you give an honest presentation of the gospel to a friend, he will simply want nothing more to do with you. I think that’s pretty rare, especially if you have already established yourself in that person’s life as loyal, loving, real and rational. A few years ago, a co-worker of many years made a smart remark about the second coming of Christ. I overheard it and simply replied, “I absolutely believe in that.” He said, “Really?” and we had a short conversation about it. The upshot was that he realized I was maybe a little weirder than he had previously thought, but it didn’t affect our ability to work together and talk comfortably at all. Then there are the “tradeoff” situations. One possible tradeoff for faithfully sharing the gospel is ongoing awkwardness. I have this with one friend whenever he mentions his problems to me. Those conversations are fairly short, because I only have one answer. He knows it, and doesn’t really want to hear that song again. So there will be a short silence, and he’ll change the subject. Awkward, but I don’t regret having witnessed to him. I’m sorry we can’t talk as freely as we once did, but at least he knows I believe there are answers to be had, and that I long for him to find them. That’s the sort of tradeoff I mean. At the other end of the spectrum, there are occasionally people who are already searching for answers and jump at the solution you are offering. To be frank, I haven’t encountered any of these folks, but I know a number of Christians who have, so they definitely exist. These sorts of conversions appear in scripture, Zacchaeus, Lydia and the jailer in Philippi being prime examples. Their acceptance of the truth offered them was near-instant, even where it cost them something. So with all that understood, what can we do to maximize our chances of being heard AND accepted? Be gracious. “The Lord’s servant must not be quarrelsome but kind to everyone,” said the apostle Paul. A blood and thunder sermon is probably not the way to go with friends, at least if you want to keep them friends. Nor is the sort of intellectual argument that you might win on points, but that fails to reach the heart of the audience. Be honest. Don’t say more about the Christian faith than you have personally experienced. 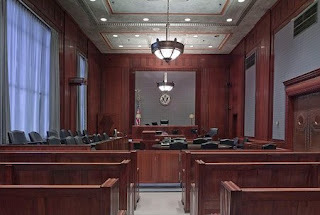 In a court of law, the most believable witness is one that tells his own story simply and accurately, without trying to manipulate the jury or argue the legal issues. That’s the lawyer’s job, or in the case of a witness for Christ, it’s the Holy Spirit’s job. Leave room for him to work. Be on topic. The topic is Jesus Christ and his salvation. It is this to which we have been called to witness. It is not the age of the earth, the creation/evolution debate, the Nephilim, the Genesis flood, whether dinosaurs coexisted alongside men, the Canaanite genocide or even the Bible’s views on homosexuality (unless the person to whom you are witnessing is homosexual, in which case this subject may be a necessary pit stop). Your audience might take you there, and you might know a lot about these things, but the object is to get back to the real issue as urgently as possible. Anything else is, at least initially, very much a distraction. Answer the questions you are asked to the best of your ability by all means, but don’t get caught up in them, and look for ways to direct the conversation back to what really matters. Be brief. I don’t mean you have to cut sharing the gospel short if someone is interested, of course. But having shared where the gospel meets someone’s need, don’t nag them about it. If we are going to keep our friends, we’re going to have to learn not to pester them. If your first attempts to witness are not full or clear, you may have a second opportunity to explain further. But constantly pointing to issues in an unbeliever’s life and telling them Christ is the solution is more likely to drive them away than help them to see your point. Be loving. There’s nothing worse than giving somebody the sense you are working at getting your heavenly merit badge on their dime. When the Lord Jesus told a man who asked him how to inherit eternal life to sell all he had, give it to the poor and come follow him, Mark notes first that he looked at him and loved him. He paid attention to his audience. He saw them for who they were and addressed them according to their individual needs. He was not checking boxes or working his way down a list. He was out in the world loving men and women, warts and all. Be consistent. What we do and what we say are not easily separated in the minds of others. Loving words need to be accompanied by loving actions. Sometimes the things we do for an unsaved friend speak to them more eloquently of Christ than anything we say to them. At very least, our actions make room for our words.